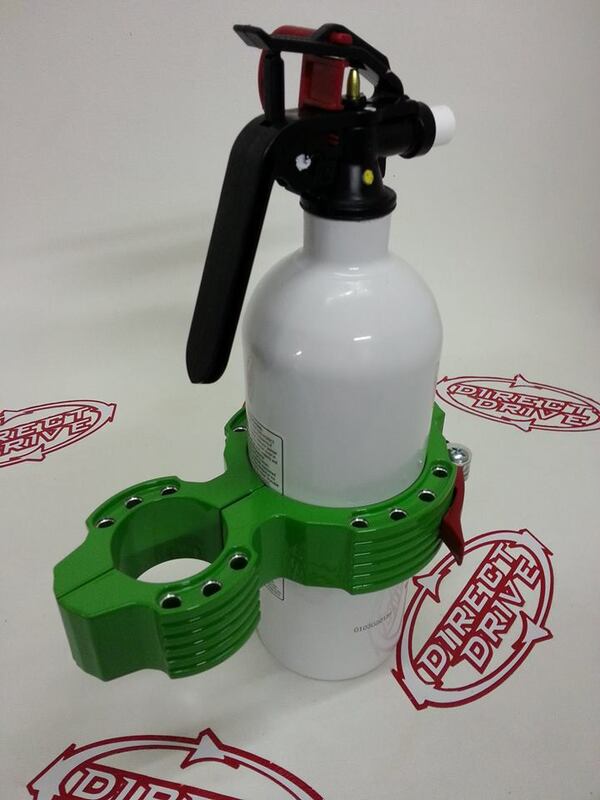 Green Billet Fire Extinguisher Mount with Fire Extinguisher with Powdercoated Red lever. 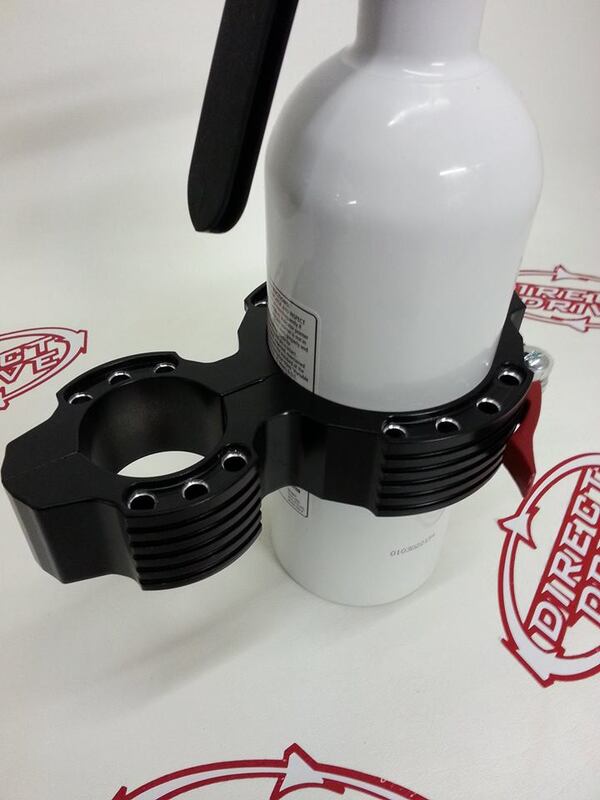 QUICK RELEASE FIRE EXTINGUISHER MOUNT. Solid design . No Squeaks, No rattles, No lost extinguisher. 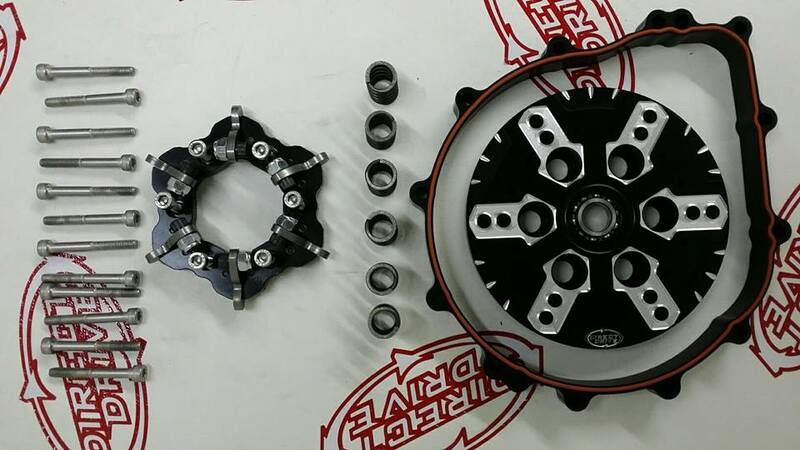 * Available in polished or black- This is a black mount. 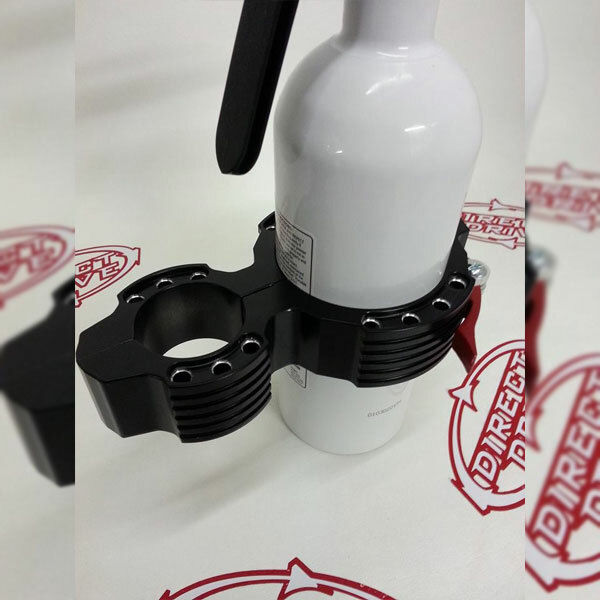 * Red Powdercoated quick release lever / very user friendly, lift up to release , push down to tighten. * No brackets remain on extinguisher when removed from mount making it easier to hold on to in an emergency situation. * Positions extinguisher in the safest location, On the outside edge of the cage – within easy reach of anyone. Mounting extinguisher in the bed of any side by side is not recommended. This is the origin of many fires.